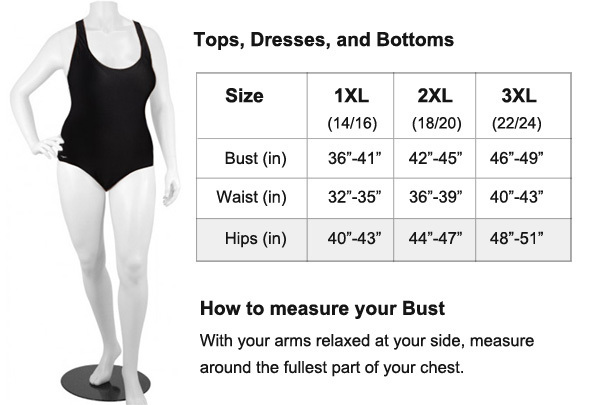 Our merchandise is obtained by several distributors, each of which has their own size guidelines ranging from Junior Plus to Women's Plus Size. Unless otherwise noted all our clothes are women's plus sizes. Please refer to the chart below when making your purchases.